Capt. 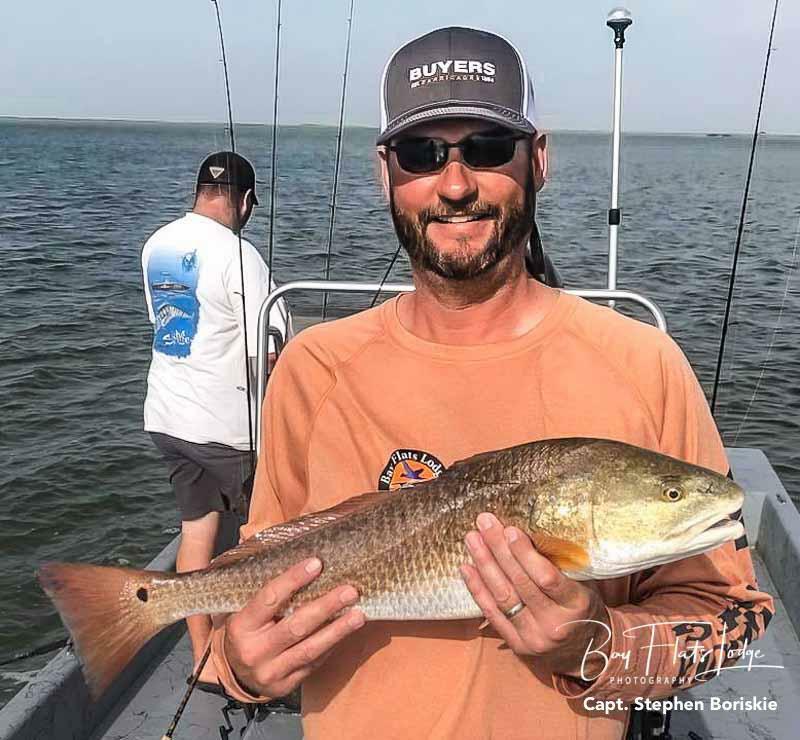 Cody Spencer – This morning was a wade fishing with croaker trip that started out really well, but we got chased out of our first spot by a couple of very curious gators. We changed locations and, consequently, stumbled upon a few trout in the mid 20-inch range. The guys started seeing overall steady action, which ended the day on a positive note! Capt. 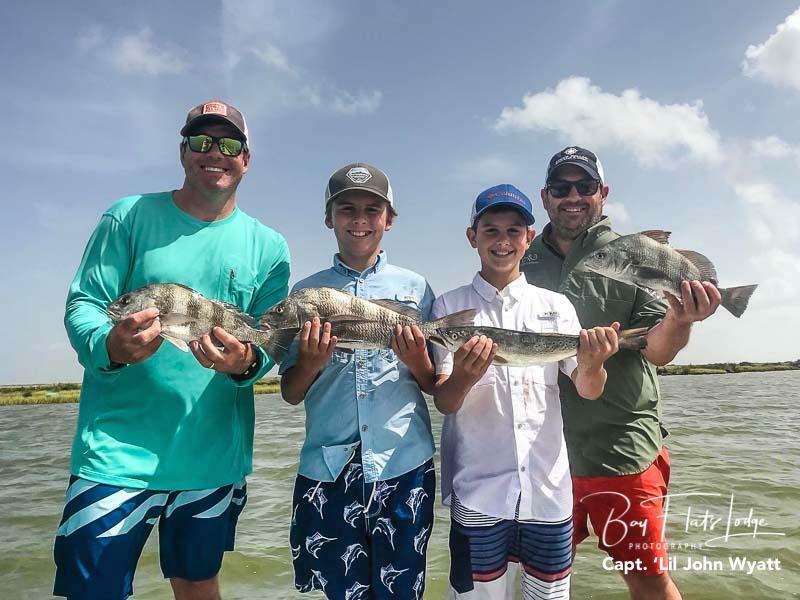 ‘Lil John Wyatt – We had a great day today with dads and sons fishing together for one last outing before school starts. The kids had a big time today catching lots of trout, redfish, and black drum. Everyone got in on the action, and everyone enjoyed the time together while out on the water. 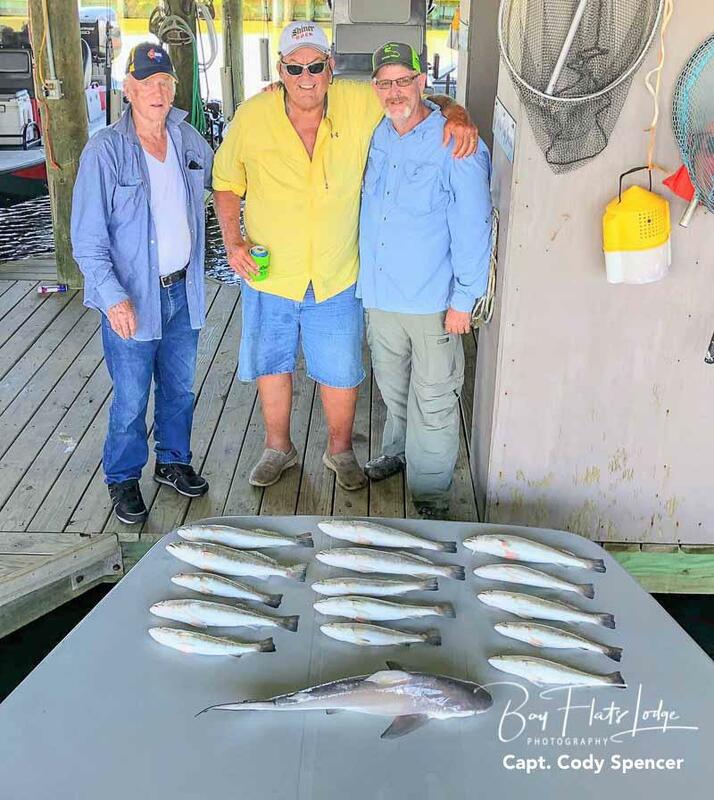 If you’re the typical avid coastal angler, you keep abreast of the latest developments and success stories via daily or weekly fishing reports. 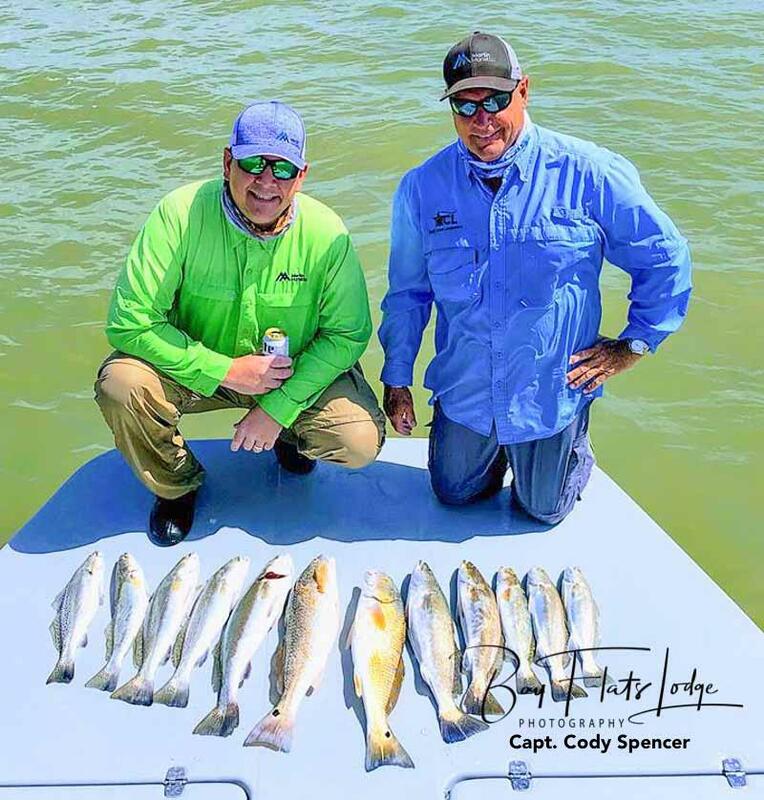 In doing so, you have probably noticed that some of the reports have stated how slow the fishing may have become on certain days throughout the past few weeks. 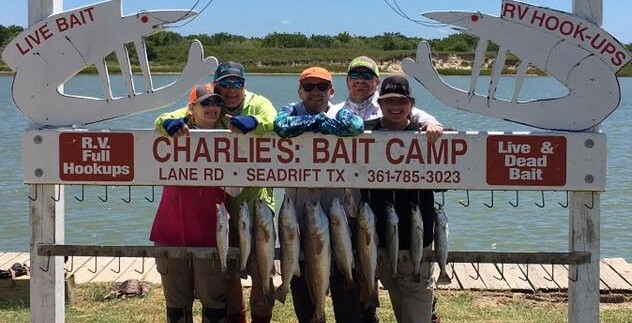 Regardless, and in addition to the somewhat lower tides these past few weeks, our BFL guests have been fortunate in their recognition of consistent catches on an almost daily basis, some of which have been just downright impressive in spite of the lower tides and higher temperatures. Below are a few ideas you might consider in order to help you catch more fish during slow periods. One thing you should always try to remember is to key on swimming pods of bait, and to make other such logical observations. For example, look to see if you see any jellyfish in the area. Water temperatures in locations holding jellyfish tend to be extremely warm – even hot. Recent productive water temperatures have been 82-84 degrees during the first two hours of daylight each morning. The first fish is generally being landed at sunrise in nearly chest deep water over sand and grass. A second important element is to locate trout-green water. And a third factor to remember is the importance of not moving after catching your first solid fish – simply don’t do it! You might find that you cast 30-40 times without a hit, and then all of a sudden everyone’s line will get attacked. Grind it out! In the upcoming month of September, the redfish will start schooling in large pods along our area shorelines. Look for explosive splashes, and the familiar fleeing of baitfish accompanied by large fanning tails. Additionally, keep an eye peeled for the presence of fleeing shrimp – this is a great way to sight cast to September “BIGs”. A longtime favorite top water lure in September is a pink Skitter Walker rigged with single hooks instead of the factory-installed treble hooks. These single hooks allow you to unhook your catch faster, and they also tend to work somewhat like a weed-less hook. Cast ahead of the moving reds, walking-the-dog as you advance your surface walker upon the pod. Hang on as you make your approach in this manner, as the fight will be on. Plastic tails rigged with 1/8-ounce heads also work well for these fish, especially over hard, sandy shorelines that are commonly mixed with small beds of grass and undulations. Go get ’em!